Since 2008, Central Banks have been desperately trying to generate inflation. They know they cannot produce growth (hence why both the Fed and the ECB abandoned this as a goal in their statements back in 2013)… so they have chosen to “target” inflation. To that end, Central Banks have maintained Zero Interest Rate Policy (ZIRP) as well as Negative Interest Rate Policy (NIRP) for the better part of eight years. They’ve also printed over $14 TRILLION in new capital and funneled it into the financial system. These two policies failed to create inflation for the simple reason that the money never made it into the economy. Banks simply were not lending. 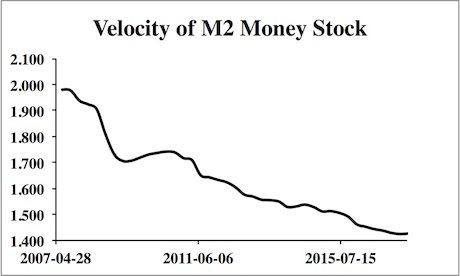 So all this cheap money just sat on bank balance sheets (earning interest for the banks) and the velocity of money continued to drop in a deflationary spiral. This all changed in August 2016. That’s when the Bank of Japan began a policy of targeting a 0% yield on the 10-Year Japanese Government Bond or JGB. And this was a game-changer. Instead of periodically buying bonds from banks (which would then park this cash on their balance sheets) this policy opened the door to endless money printing. Put simply, if the yield on the 10-Year JGB rose above 0%, the Bank of Japan would simply print Yen to buy bonds, thereby driving the yield down. 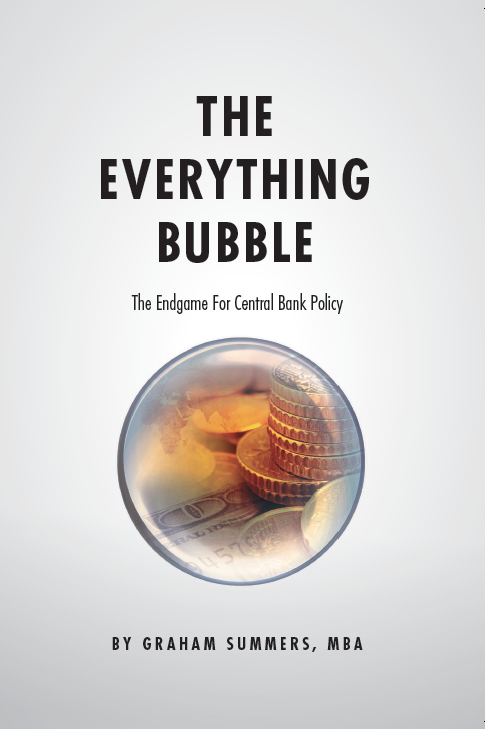 And unlike QE, which is usually limited in both scope and time period, this policy is open-ended and can occur as frequently and for as long as the financial system can take it. Put simply, the Bank of Japan began a campaign of abject intervention in the bond markets. And it has unleashed a tsunami of liquidity into the system. 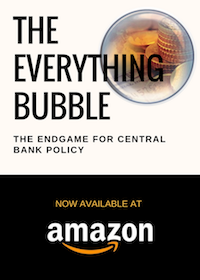 Indeed, between this, and the ECB’s decision to maintain “emergency” levels of QE despite the fact that the EU’s economy is not only well out of crisis-mode but is in fact now in danger of heating up too rapidly, inflation has finally arrived in the financial system. With that in mind, take a look at global bond yields and you will see them breaking out to the upside across the board. Indeed, Japan’s 10-year JGBs (bottom box in the chart) are the only bonds to remain below their long-term downward trendlines and that’s because of the aforementioned ABJECT intervention! What Do Stocks Get That Credit and Bonds Don’t?